In occasion of the 25th birthday of Hotel San Marco (in addition to the special promotions we alreadly talked about) we thought of preparing a special product for this unique celebration. 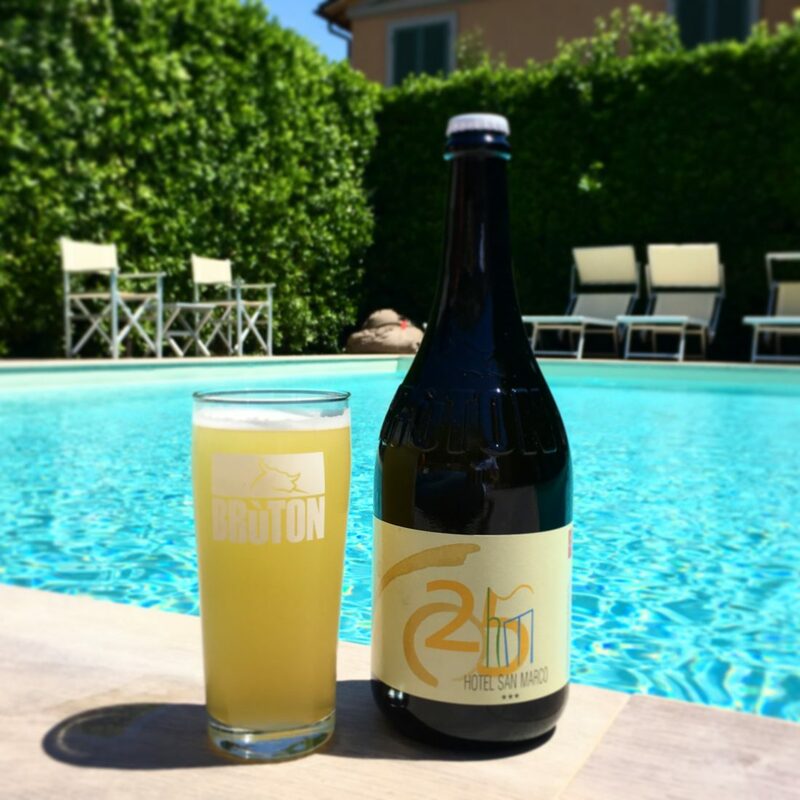 In collaboration with the Bruton Brewery, our Beer 25 was born, a Belgian white, 4.5% alc, very refreshing and perfect for the summer season that is at our doorstep. Before convince you of its freshness, the Beer 25 label will capture your attention: elegant and clean, leaving all the space to our logo, created specifically for this anniversary and to a graphic details mentioned suggests the silhouette of our hotel . You can enjoy the Beer 25 on our terrace, by the pool or directly in your room. In addition to the sales, a bottle of this beer will be given to all guests who choose to book their stay at Hotel San Marco using our website. At this point, we invite you to Lucca to come and celebrate us!